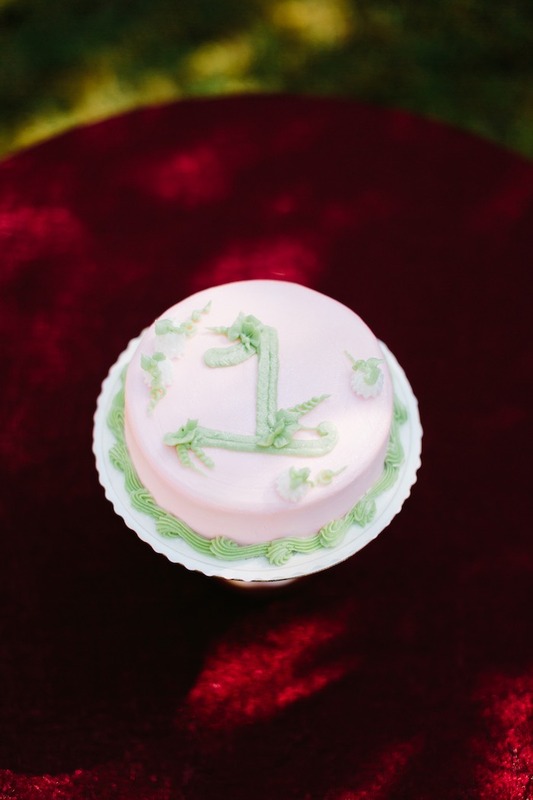 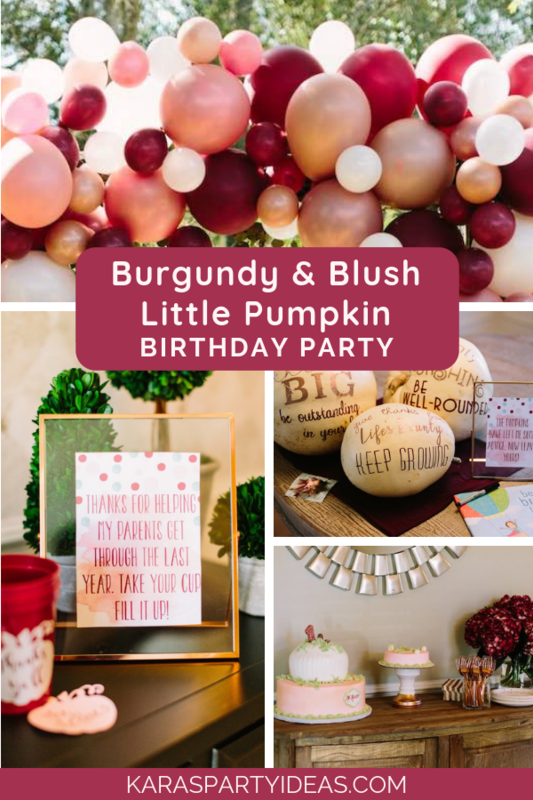 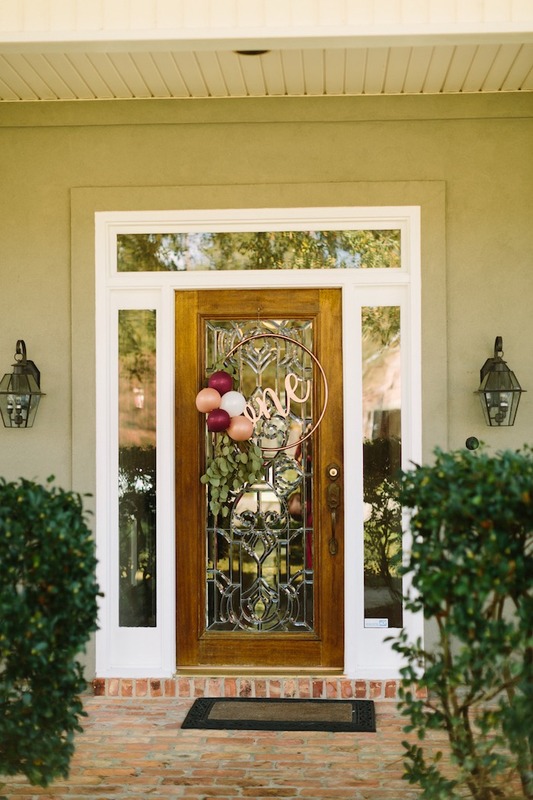 Swoon, sway and blow a kiss, this Burgundy & Blush Little Pumpkin Birthday Party, is full of bliss! 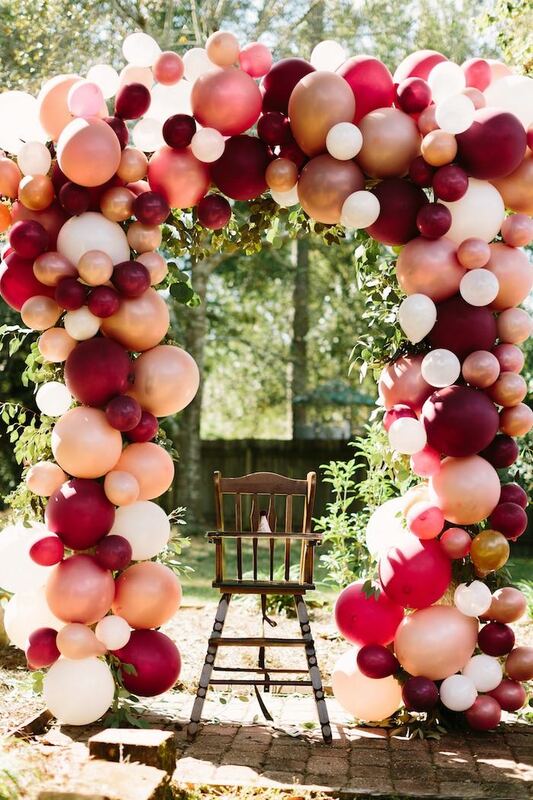 Styled by Ashley Bupp of A Bupp Event, out of Mandeville, LA, USA; this stunning occasion is off the charts with darling details! 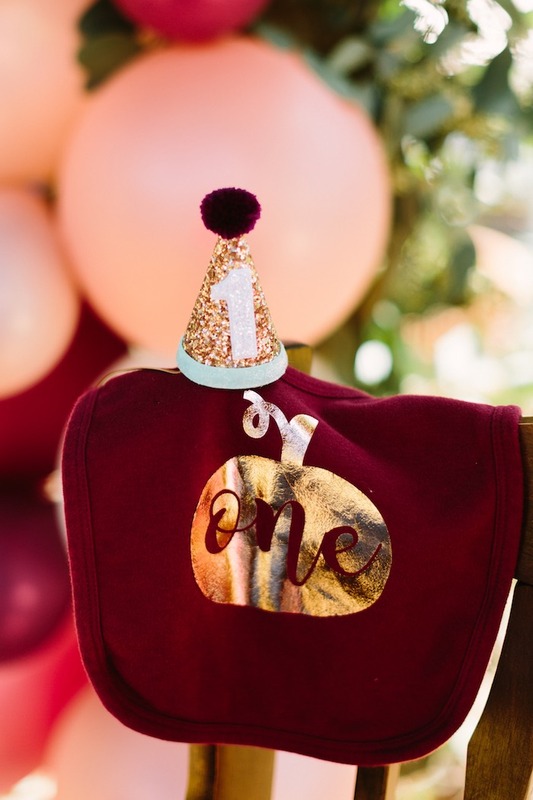 Ashley’s party description- “Celebrating a first birthday in early November, a pumpkin themed party seemed to be very appropriate. 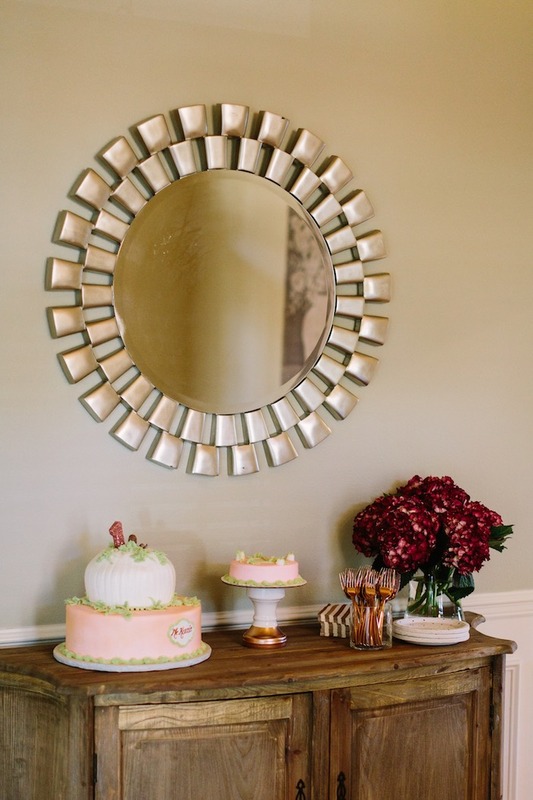 However, a traditional orange color palette was just not fitting for this girly girl. 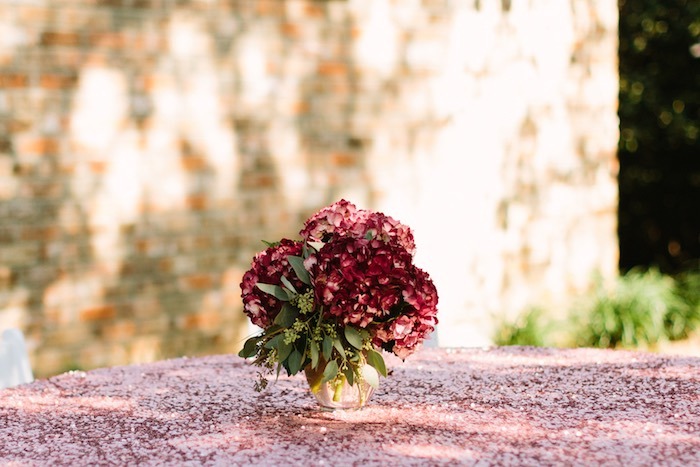 So, we went the non-traditional route with white pumpkins, sage green eucalyptus, burgundy hydrangeas and other accents in soft pink and touches of a beautiful rose gold. 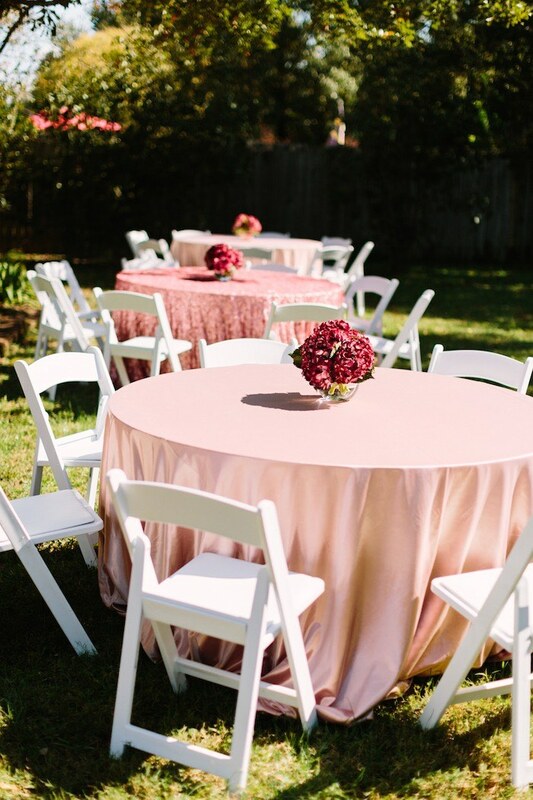 Fortunately, the southern November weather was perfect for celebrating outdoors. 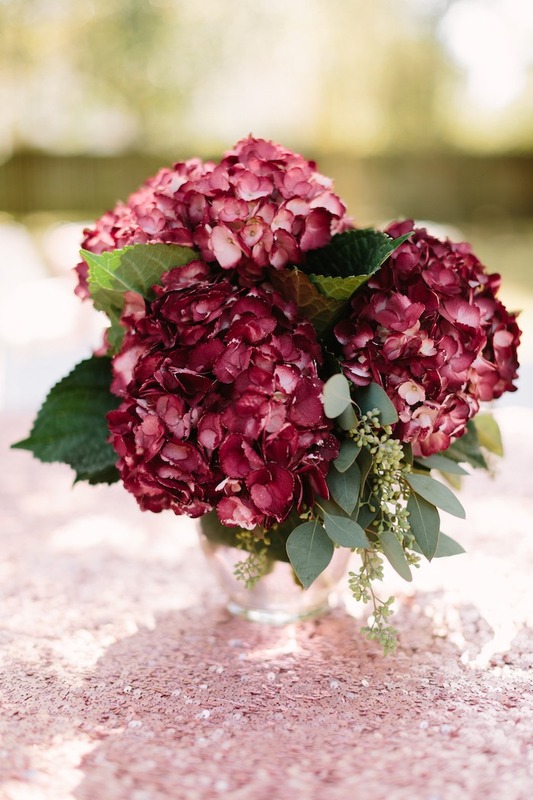 Guests’ tables were draped in gorgeous sequin linen topped with a simple burgundy hydrangea arrangement. 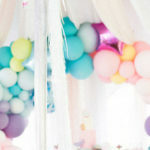 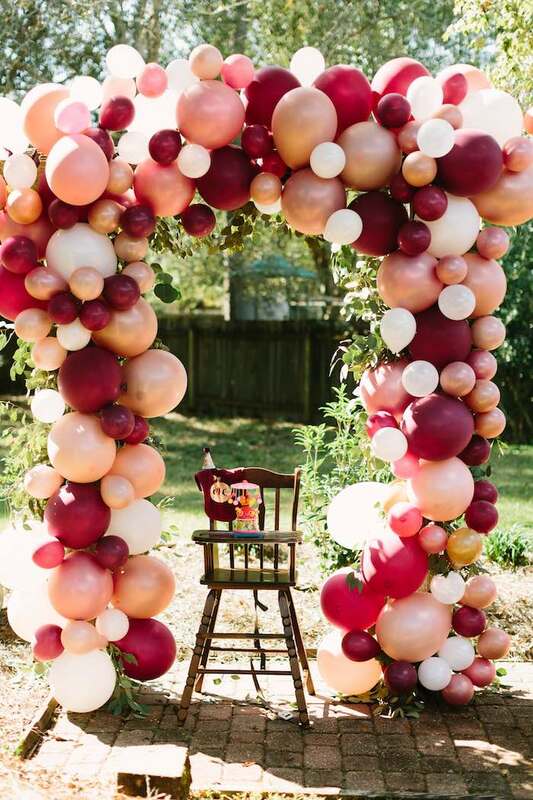 Luckily the host’s backyard had a wooden arch structure which was the perfect frame to cover in chicken wire and adorn with various balloons in the party’s color palette. 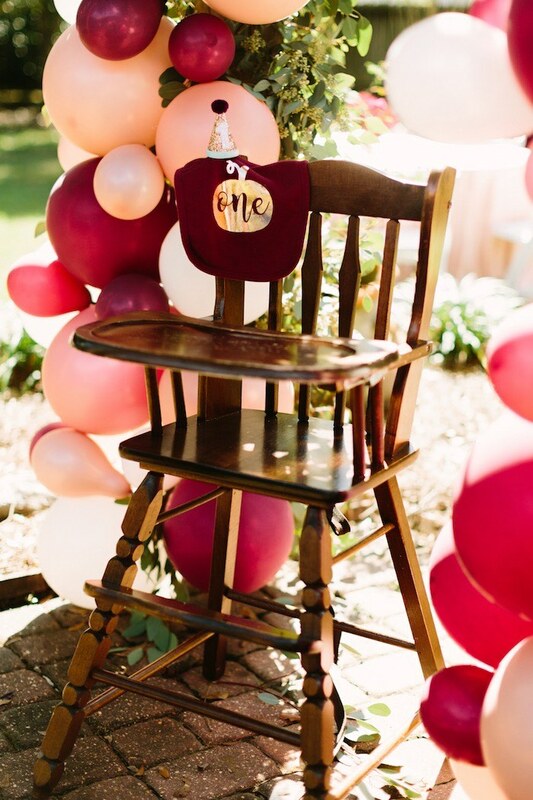 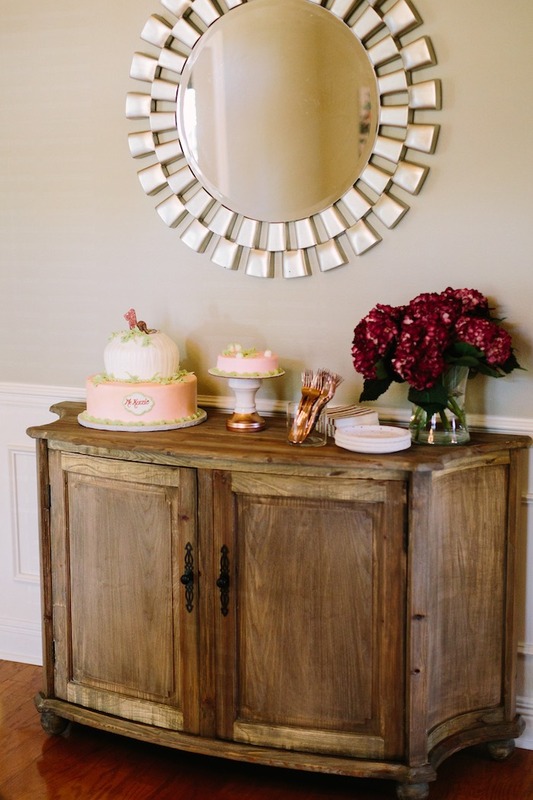 This arch provided a beautiful backdrop for the birthday girl who sat in an old wooden highchair while guests and a vintage spinning baby chick carousel (that has been in the family for decades) sang happy birthday. 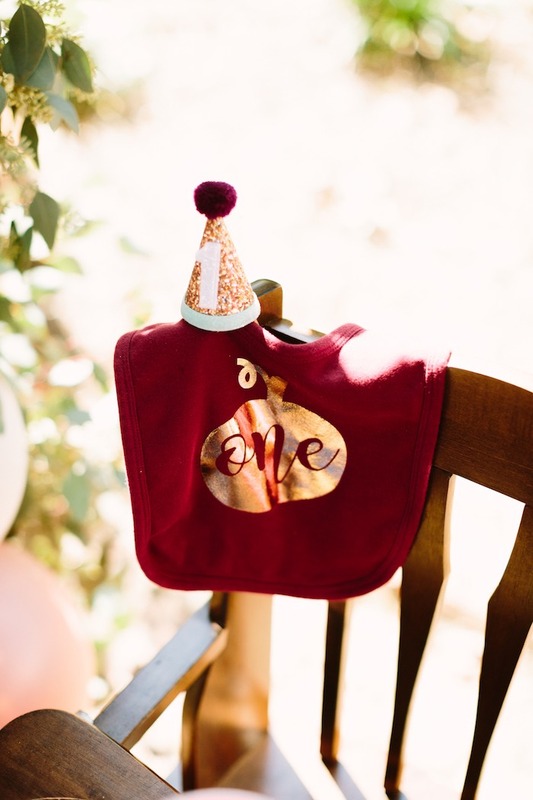 While she was decked out in a custom pumpkin one bib and adorable mini glitter birthday hat. 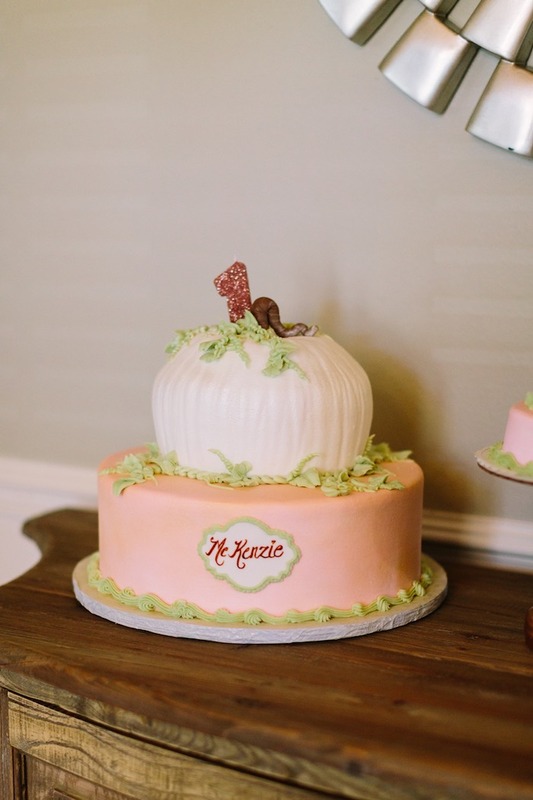 The delicious two tiered cake had a realistic white pumpkin that sat on top and was adorned with a glitter rose gold number one candle. 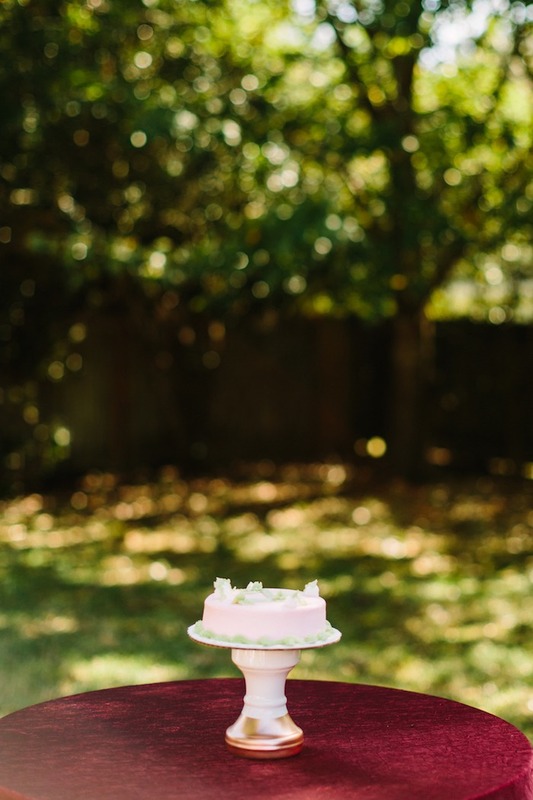 The birthday girl had her own single layer smash cake with the number one. 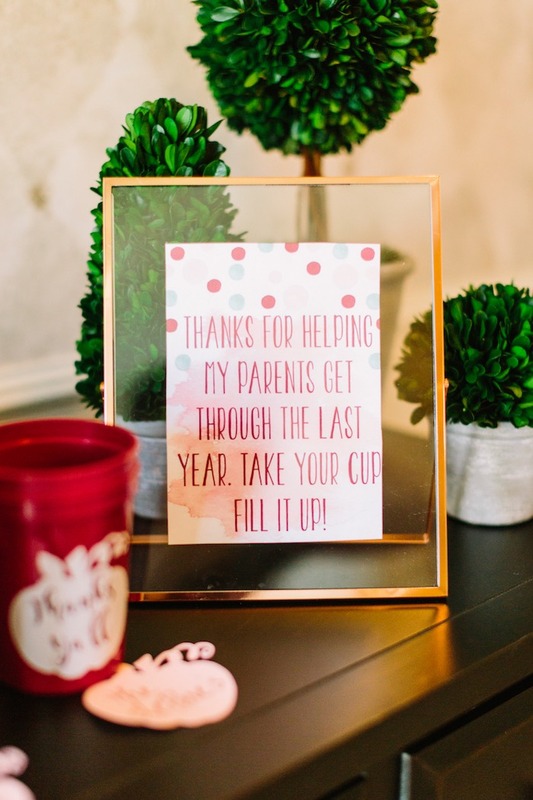 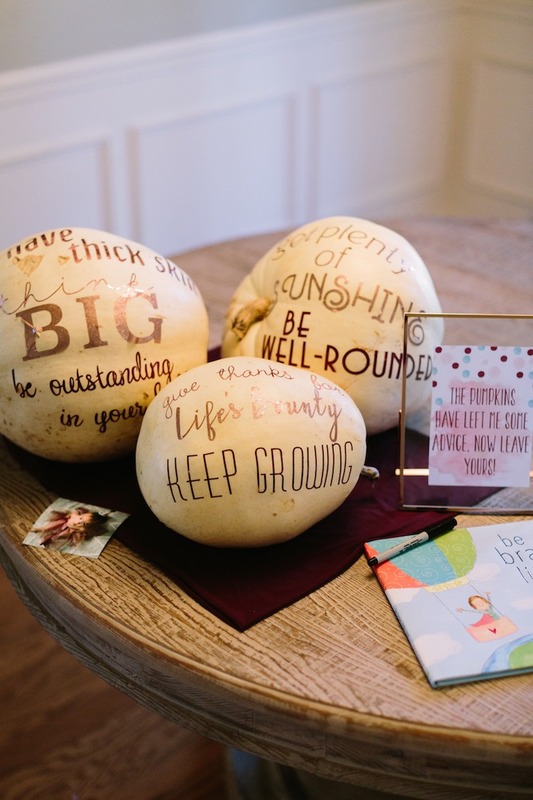 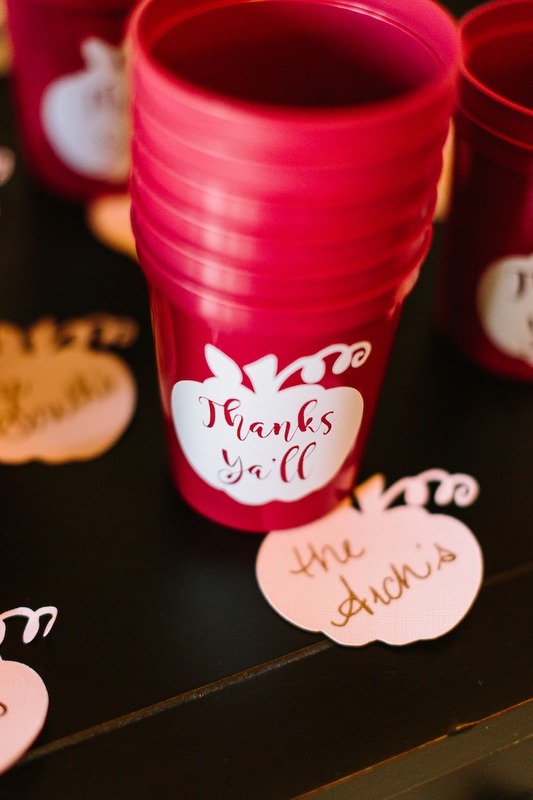 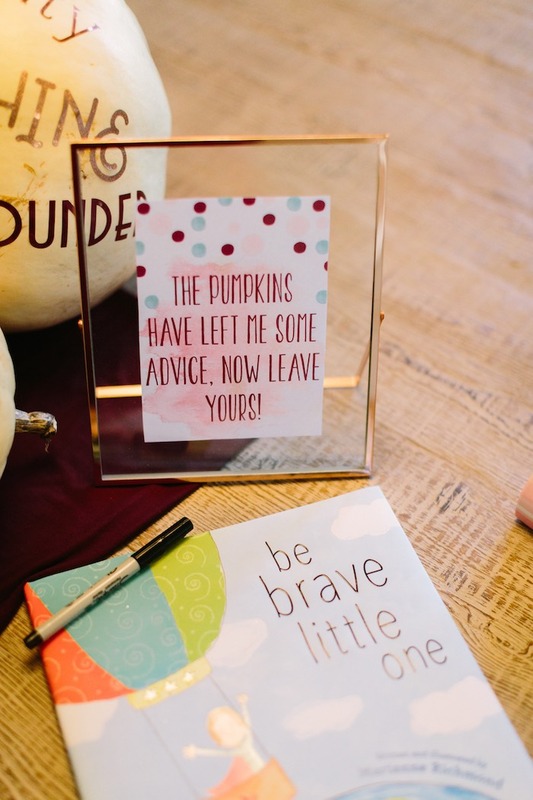 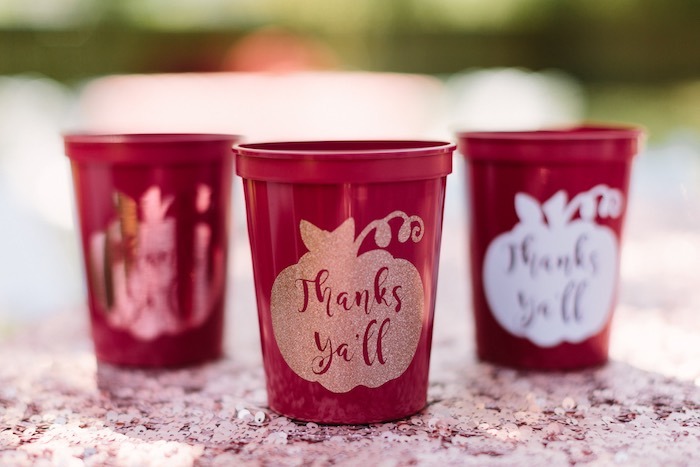 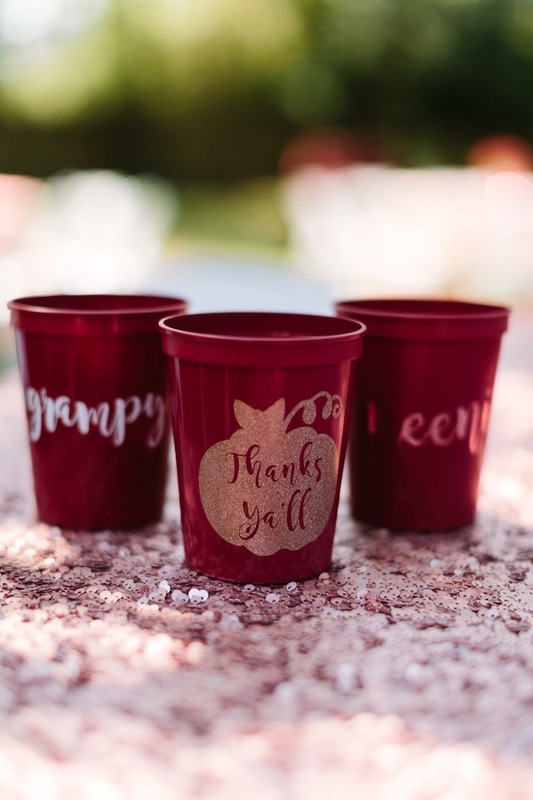 Guests were asked to leave encouraging notes for the birthday girl in the book “Be Brave Little One.” The book was displayed next to several white pumpkins, each adorned with vinyl sayings that were clever words of inspiration from the pumpkins. 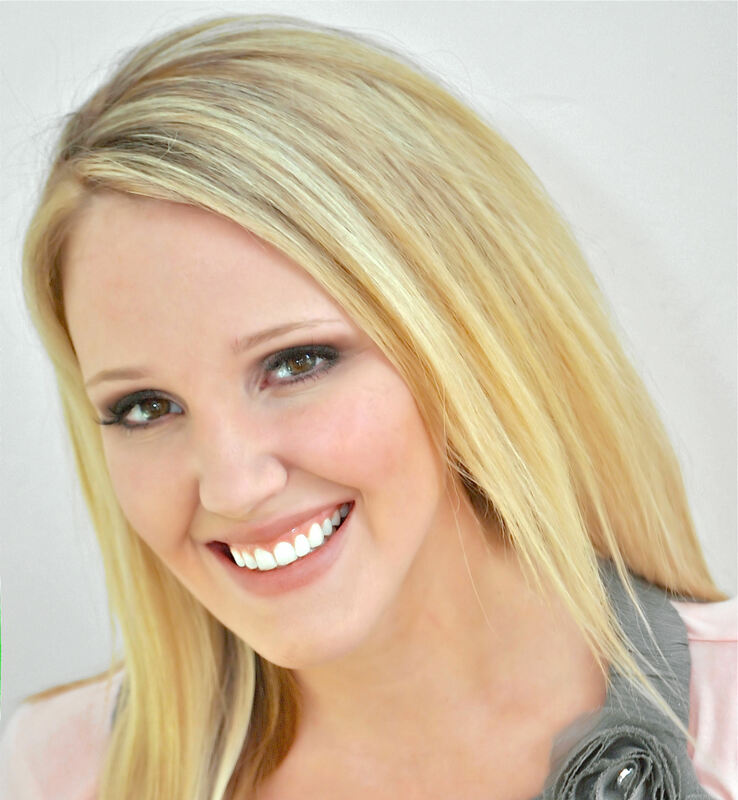 Hi there what are the procedures to be featured on your page?